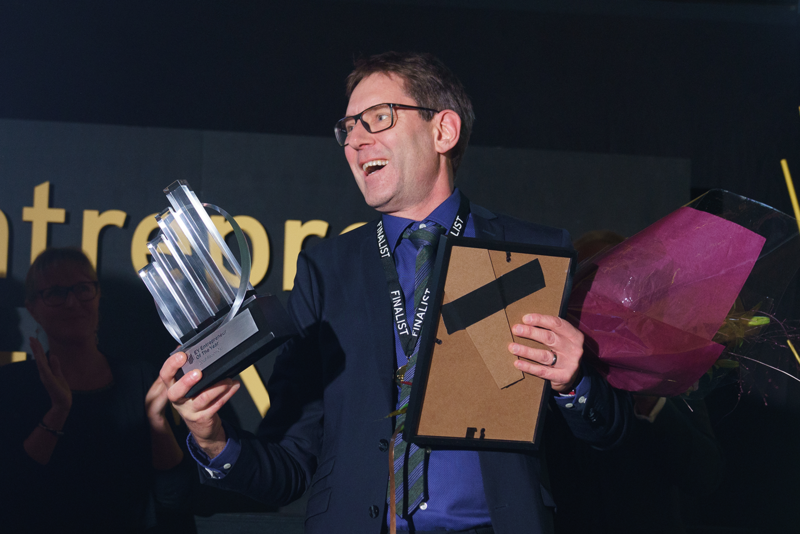 Configura’s CEO Johan Lyreborn was named Entrepreneur of the Year in the Regional East finals. EY Entrepreneur of the Year is one of the world's top awards for entrepreneurs. It is the first international award for entrepreneurs who, with clear vision and good leadership, build up successful companies. Conducted at the regional, national and international level, the Entrepreneur of the Year competition takes place in more than 140 cities in more than 60 countries. An external independent jury assesses entrepreneurs according to the criteria entrepreneurship, economic development, strategic orientation, impact on the outside world, innovation, personal integrity and influence. “This year's prize winner has for many years, and with clear sales and profitability goals, built and developed both customers and employees in an international market. Successful and continuous product development focus has minimized the competition. With the leadership of innovation, team player and commitment and the motto "challenge the unknown", this long-term entrepreneurship will continue to grow – a lot and for a long time. The entrepreneur's success has sparked the belief that if people can count and calculate correctly, we will all get a more sustainable and effective world” the jury said when announcing Lyreborn as the winner. “Apart from the entrepreneurial aspect of the competition, I think there was a big focus on sustainability and the environment,” Lyreborn said. Lyreborn will go onto represent the east region at the national finals in Stockholm in January. The winner of the national competition will in turn represent Sweden in the world finals in Monte Carlo in June 2019.